Women Lead is a leadership publication providing ideas, inspiration and insight for women who aspire to lead in business and those that champion the advancement of female leaders. 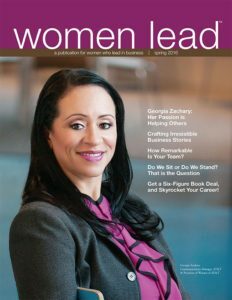 Each edition includes featured articles and strategies to advance in business, along with executive and CEO interviews that provide insight and experiences of women who have achieved success in business and industry. Women Lead is a publication designed to accelerate opportunities for women to prosper, lead, achieve and succeed in business! Please enjoy our Spring 2016 Issue!